Father Francisco DelVega Ortiz cursed Lucifer as he was brought before the pagan Chief. He had been part of a special mission to these islands, but Captain Scarr’s foolishness caused his ship to collide with an uncharted reef. Rough seas and high winds tore the Esteban apart. The Priest was the only survivor. “Perhaps, Priest. My people will grow strong eating your sacrificed flesh, but I reserve the blood for myself.” The heathen Chief sitting on his obsidian throne bared long fangs and hissed. Time for another short story for What Pegman Saw. The idea is to take a Google maps location and image and use it to inspire the creation of a piece of flash fiction no more than 150 words long. My word count is 150. Today the Pegman takes us to Fiji. I was all set to write about a warm, tropical paradise when I looked up Fiji’s history and found some pretty disturbing news. 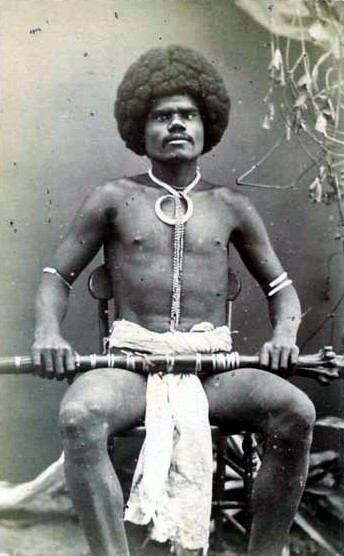 Over the centuries, a unique Fijian culture developed. Constant warfare and cannibalism between warring tribes were quite rampant and very much part of everyday life. During the 19th century, Ratu Udre Udre is said to have consumed 872 people and to have made a pile of stones to record his achievement. According to Deryck Scarr, “Ceremonial occasions saw freshly killed corpses piled up for eating. ‘Eat me!’ was a proper ritual greeting from a commoner to a chief.” Scarr also reported that the posts that supported the chief’s house or the priest’s temple would have sacrificed bodies buried underneath them, with the rationale that the spirit of the ritually sacrificed person would invoke the gods to help support the structure, and “men were sacrificed whenever posts had to be renewed”. Also, when a new boat, or drua, was launched, if it was not hauled over men as rollers, crushing them to death, “it would not be expected to float long”. Fijians today regard those times as “na gauna ni tevoro” (time of the devil). The ferocity of the cannibal lifestyle deterred European sailors from going near Fijian waters, giving Fiji the name Cannibal Isles; as a result, Fiji remained unknown to the rest of the world. Yikes. Doesn’t sound like paradise to me. Also, as you can see, the title for my work of historical fiction and horror translates as “Time of the Devil,” which I found appropriate. According to the same source, Dutch explorer Abel Tasman visited Fiji in 1643 and apparently lived to tell the tale. The first Europeans to settle in Fiji were beachcombers, missionaries, and whalers. I’ve written eight chapters in my Sean Becker vampire series plus a number of “side tales” based on the same “universe.” I have introduced formal societies both of vampires and of vampire hunters. In the 20th and 21st century western nations, the Holy Order of vampire slayers is called “Van Helsing” after a fictional character in Bram Stoker’s 1897 novel “Dracula.” Earlier, including in the 17th century when this story is set, I gave them the name “Holy Order of Venandi” with “Venandi” meaning “hunter” in Latin (the best I could come up with…if someone more familiar with Catholicism can create a better name for a fictional order of fanatical vampire hunters, let me know). I’m fascinated about how widely the legend of vampire-like creatures has spread and how far back in history they can be traced. Almost every human civilization and culture knows of vampires by one name or another. Vampire-like creatures of the island chain Vanuatu were called Talamaur. They weren’t bloodsuckers in the traditional “Dracula” vein, but they were close enough so I thought I could get away with “tweaking” the folklore. 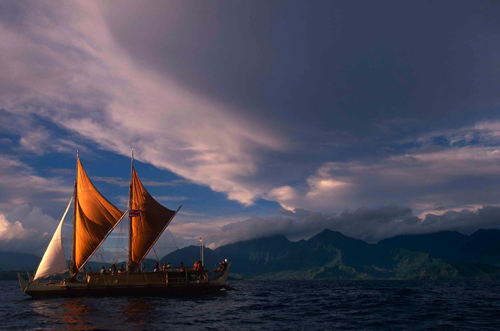 Vanuatu is about 750 miles from Fiji and there is some evidence that ancient Polynesian people were able to make long sea voyages and settle on islands very distant from their origins. I don’t think it’s too much of a stretch to have a Talamaur arrive on Fiji in or before the 17th century (it is believed Fiji was settled between 3500 and 1000 BCE) and become a local chief. Oh, in case you’re interested, the weather in Suva, Fiji today predicts thunderstorms with a high in the mid-80s F and a low in the mid 70s. Pretty humid and I doubt you’d be able to work on your tan. Every Eden had its serpent! But looking back, most indigenous cultures (including and especially North Americans) would have been a great deal better off had they killed all Europeans outright. The Hawaiians tried, but were too late. I’d have to draw the line at eating people, though. Thanks. A defiant cleric indeed. I wouldn’t want to hear the ‘hiss’ of your last line; a terrifying sound. Yes. It doesn’t end well for the “good” Father. Probably so, though I imagine it’s a lot like living in Florida. This was such an interesting take and that photo of the chief creeped me out- but well done, James. and I laughed at the ending weather report – how we would not be able to work on out tan afterall…. Glad you liked it. Just to clarify, the photo is of a 19th century mountain warrior, not a Chief. He’s not creepy, just different. and just to clarify back – I did not say the chief was creepy – I said the photo of this person “creeped me out” – and only a little – it was those eyes – ha – but I agree – different and culture rich…. Your research is impeccable, James, your story from said research is harrowing and a good story to tell. It now explains why the Fijian rugby union team are so ferocious! No eating of victims, though, thank goodness. I think they gave that sort of thing up a long time ago, Kelvin. Wouldn’t mind visiting Fiji now though during more temperate weather. Sounds like a plan, James. Maybe you could fly out on your helicopter. Fiji of the past perhaps, Lyn. In present day, they have a thriving tourism industry and I’m pretty sure people don’t get eaten in the process. Yes, I’m sure it’s a lot more fun now than it used to be. Yum, we Europeans do make good eatin’ 🙂 Nice one!